Twitter is one of the most popular social media platforms, and the thing that makes it unique is that it is a real-time public microblogging network where you get the latest news first. Everything is shown on Twitter in the form of Tweets, and for the past eleven years, there was no change in the limit of 140 characters per tweet. Today, however, the company announced that it is going to increase the character limit from 140 to 280 characters for the first time in past eleven years. 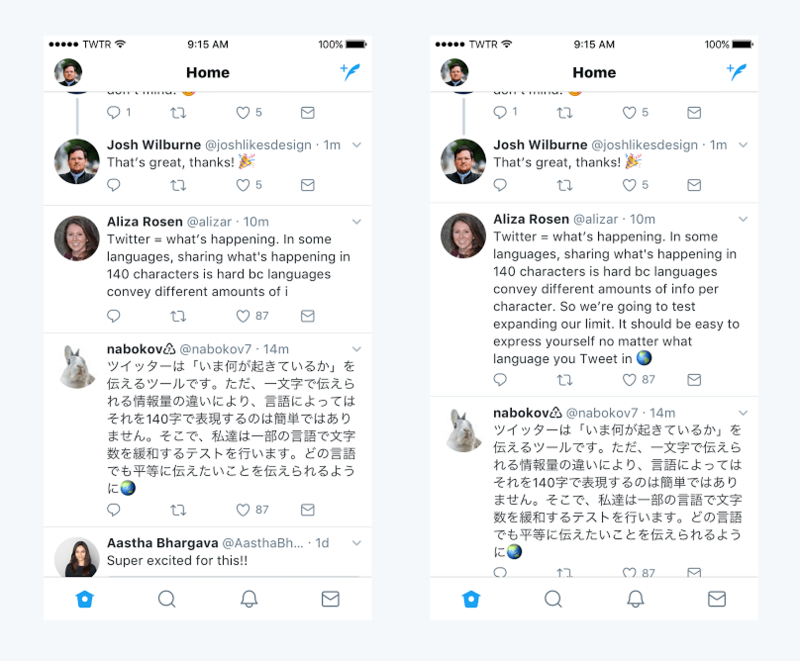 Now, you still might not be able to write up to 280 characters because this feature is not yet made available for every user but soon, everyone is going to get this feature. We understand since many of you have been Tweeting for years, there may be an emotional attachment to 140 characters – we felt it, too. But we tried this, saw the power of what it will do, and fell in love with this new, still brief, constraint. We are excited to share this today, and we will keep you posted about what we see and what comes next. Keep in mind that the company has decided not to roll out this feature for Japanese, Chinese and the Korean users. This is because users tweeting in these languages hardy reach the limit of 140 characters. 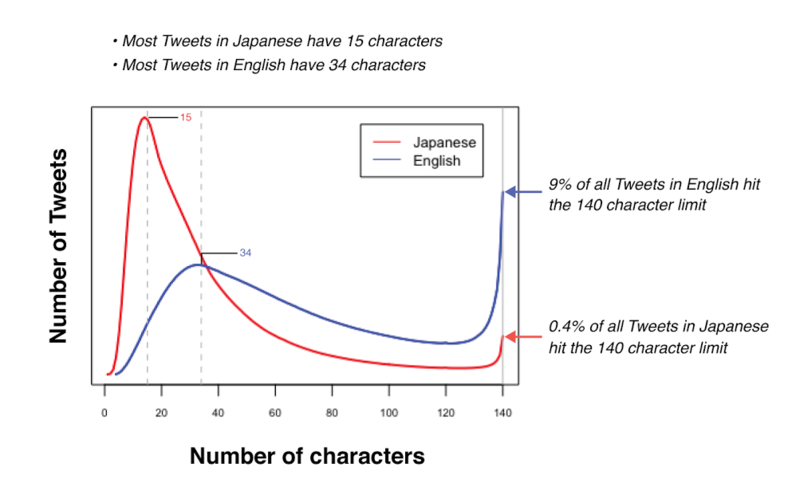 For Example, just 0.4% of the tweets in the Japanese language have up to 140 characters. Well, this is surely a big update but there is one feature that every Twitter user wants, and that is the feature to edit the tweets. Let’s hope Twitter will soon provide this feature to the users.